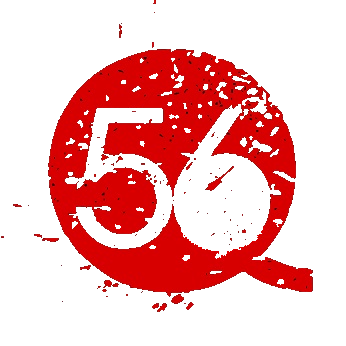 Welcome to the world of Quick 56. We play a mix of eclectic musical talent covering 80s, 90s and today's rock from artists like Green Day, Foo Fighters, Guns 'n' Roses, Sublime and many more! Our band includes Jake Salter on Rhythm Guitar and Vocals; Nick Wood on Lead Guitar and Vocals; Joe Martinetti on Bass and Vocals; and a Player To Be Named Later on Drums. If you would like to join our band on this musical journey, please contact us. Based out of Fargo, ND, our musical influences include Green Day, Offspring, 80's hair bands... sorta ....mainly 90's rock and the cool stuff from this day and age...like what the youngins listen to. We're one of those "all encompassing" types. We would love to see you at one of our gigs. So come on out and have some fun. “The song list is great! You can tell they put effort in their music, and work in new songs as often as possible – it’s a new show every time they are out there performing. Not only are they great musicians, but they are also funny guys, crack jokes and have fun on stage.” - Francis P.
“I asked if they played any Tenacious D at a show a couple months ago. They said they didn’t, but would work on some. Next thing I know, in their very next set, they learned a Tenacious D song over their break to play for me! It was awesome! Totally took me by surprise!” - Sarah S.
“These guys are not only musically talented, but are genuinely fun, personable guys. They are a group of good people, who play good music, and put on a great show!” - Shawn D.
© 2017 iamsaltman web design. All rights reserved.